There is a long running debate in comedy about whether comic characters need to be likeable. On the surface, this may seem surprising since many of our great comic creations are pretty unpleasant, narcissistic or snobby to the point of pathological derangement. Look at Basil Fawlty, David Brent, Edina and Patsy, Arnold Rimmer, Hyacinth Bucket, Arkwright, Alan B'Stard. Even Blackadder. And Victor Meldrew when he gets going. They're obsessives, or social climbers, or paranoid and deluded. Not what you'd call warm or likeable. I was first made aware of this debate by Rob Long, who does an excellent podcast here by the way, in his book Conversations with My Agent, which I also recommend. I think it's in that book where he talks about the great divide between writers and network executives. The network wants writers to write Mickey Mouse. Yeah, the megastar, million-dollar mouse without a single defining characteristic other than being a bland mouse. But comedy writers want to write Bugs Bunny who is, and let's be fair to him, a jerk. I've been introducing my kids to Bugs Bunny, and remembering that he really is a piece of work. But, I would argue, he's very much a 'live and let live' kind of rabbit. Leave him alone and he'll leave you alone. Point a gun down his hole, or take away his carrots, and he will utter the words that will lead to your condemnation: "Of course you realise this means war." And at the end of the cartoon, he might look to camera after he's utterly destroyed Elmer Fudd, Porky Pig or Yosemite Sam and say "Ain't I a stinker?" Yes, Bugs. You are mean. But I like you. It's something about his self-confident swagger, (especially as the character matures. Early cartoons have him scare a little to easily). A hint of this debate came up in the most recent episode of the consistently brilliant Scriptnotes podcast in which they mention a theory from the days when there were only three TV channels. It was called Least Objectionable Program, which essentially means that your audience have decided to watch TV. They just don't want to be annoyed or repelled, so it's up to you to annoy them less than the other (two) channels. So the temptation is to move to bland Mickey and away from brutal Bugs, whom some may dislike for being too mean. One could argue that in a multi-channel universe, blandness is now fatal, although there are plenty of highly successful and profitable TV shows that would suggest there's life in the old theory yet. This is all by way of introducing an excellent piece of writing by Jason Hazeley, who wrote a delightful guest post a while back on the passing of Bob Larbey, co-writer of The Good Life and Ever Decreasing Circles, among many other TV treats. 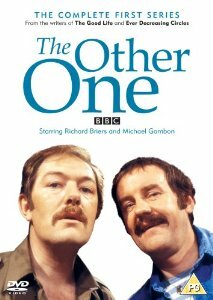 Esmonde and Larbey also co-wrote a bit of a stinker called The Other One, which showed us a very different kind of Richard Briers. A really smarmy one. And a slightly fresh-faced Micheal Gambon (who looks more like Glenda Jackson in the picture on the right). The audience didn't seem to like them. And Jason explains why. So go over and take the time to read Jason's delightful essay. (I read a draft of it a few weeks ago and made a few comments for which he overthanks me at the end.) It's here. Click it. Open it. And read it over lunch. In the meantime, I just want to remind you that if you want to talk about sitcom and the nitty gritty, there are few places left on a 2-day a sitcom course I'm running with Dave Cohen on 5th & 6th November 2015 in London. Details here. We also podcast here. We’ve got Geoff and Lynette – who are marrying for the third time. The second time to each other. The sitcom, called Third Time Lucky, rides or falls on their relationship and interaction, so there’s not much point going much further without working out some rough storylines to see if these characters work. Not only do they need individual quests, they need to clash. We’ll find out if they do when we consider some thumbnail stories. On another series of blogposts, and on the podcast, I look at how to generate storylines. Have a look there for the methods. Here I’m going to put it into practice in a slightly truncated way since this isn’t the ‘big plotting’ part of the process. This is more like taking the characters for a test-drive. When generating stories with my writing partner earlier this year, we tried one exercise which proved quite fast and fruitful, so I’m going to try that here. 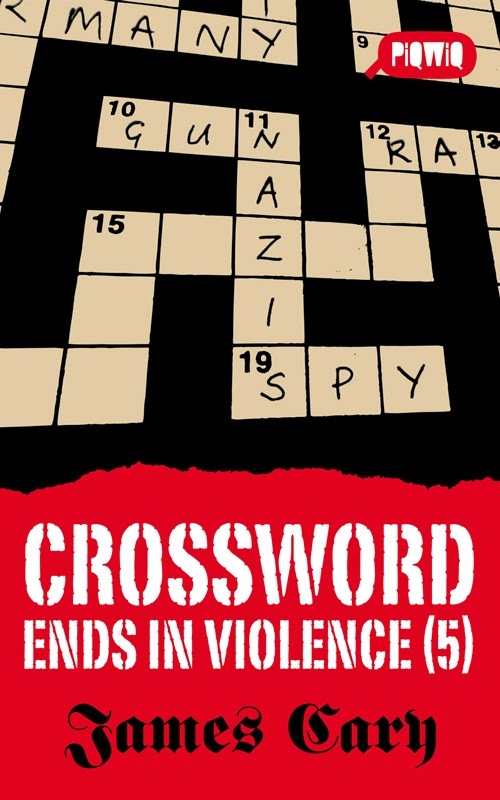 It involves coming up with word, plot or story for each letter of the alphabet. Take a word that pops into your head, and then have a think about what a story could that relates to both characters ideally. Let’s just pause to remind ourselves who Geoff and Lynette are. They are both optimists, remember. They both think that this marriage can work, even though it didn’t before. Lynette is an optimist about the worlds. She's trying to change things for the better. 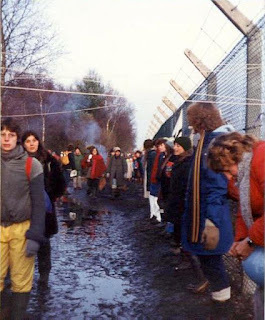 She was one of the women at Greenham Common. She wants to help her fellow man, woman, person, animal, whatever. Every little helps. But she’s not a impractical dreamer or hippies. She’s focussed and organised. Which is why she did well in business and feels a bit guilty about selling out. Geoff is an optimist about trying to improve the lives of people around him (rather than the world) - and especially himself. He loves gadgets, and new things and reckons that this latest thing really will love up to the hype. So he’s a bit naïve in that sense. And a hoarder. 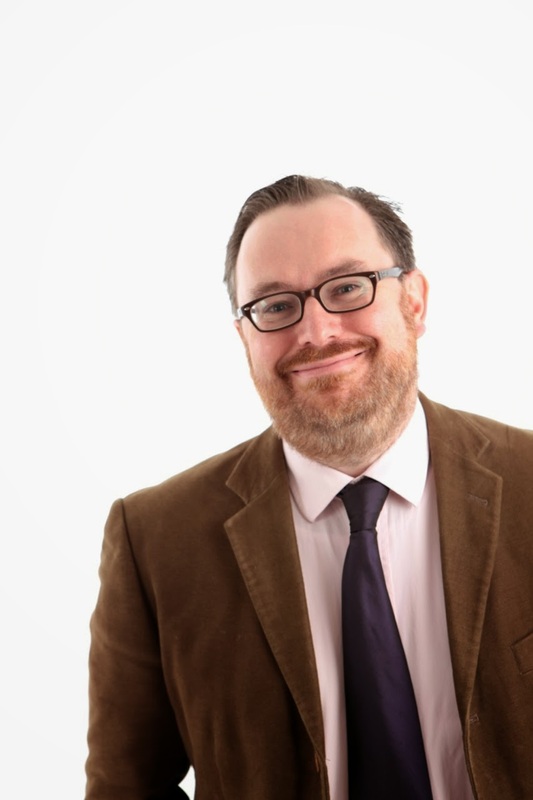 Apples, Bears, Chiropodist (or Chiropractor? ), Damsel in Distress, Elephant, Giraffe, Health, Igloo, Janitor, Knight, Lemur, Mauve, Notebook. Three ideas spring from this, to me. Do they have an apple tree that produces too much fruit? Lynette would collect them, and make apple pie and give them away. Maybe she realises she can sell them and make money, which she guiltily feels should be given to charity. Geoff would want to get involved and buy an apple-processor. Maybe use some attachment from old food processor that’s been relegated to the garage (the home of all things technical). And it goes horribly wrong. He ends up in A&E. Would it be better if they tried to chop the apple tree down because it just produces too many apples (like the trees in the garden of my parents-in-law). Everyone’s got apples and no-one wants them? Geoff would love to get his hands on the latest chainsaw. Even though he’s got an old one, he’d get a new one which has extra functions. That feels nicely dangerous as a story. Plus we have a falling tree which could fall the wrong way. Another idea that occurred is that they have apples, and blackberries. We’ve got blackberries at the end of our garden – plus some other berries we think are rosehips. Maybe they get some odd berries, and Lynette would be keen to put them into a jam and give the jam as a present. They only discover later that the berries are poisonous. They tell a friend to throw away the jam (they don’t want to reveal it’s poisonous because it makes them look foolish), but the friend reveals it’s delicious on toast. They go round but the friend has made them some on toast to eat but they don’t want to eat it and have to reveal why. Friend furious and but is alive. Maybe they thinks they're going to die. So there’s three apple ideas. I’m sure you’ve come up with others. Next. Bears. I’m thinking about Teddy Bears. 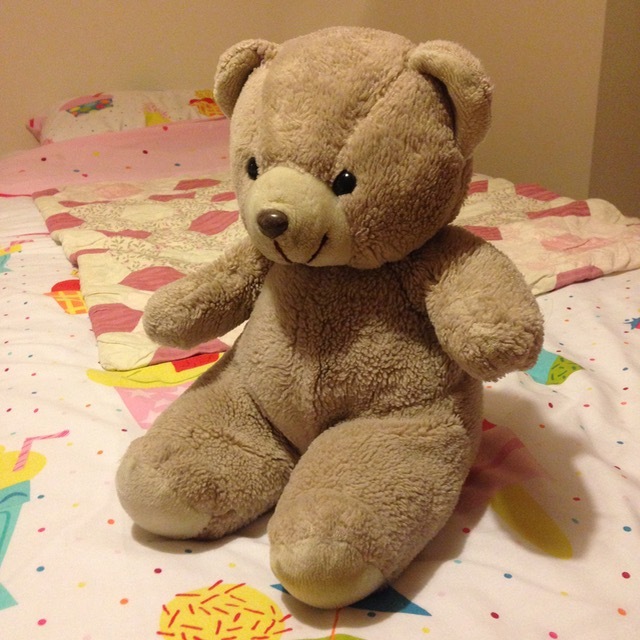 It could be that Geoff, who is a bit of a hoarder, finds his teddy bear, and it reminds him of his childhood. Or giving it to his son. Or another child of his who didn’t love it as much as he did. The worry about this story is that it’s looking backwards, so I’m dubious. Maybe the bear is worth money and has too much sentimental value to sell. Doesn’t sound very interesting, does it? Maybe his teddy was stolen or lost – and he’s sees it for sale in a charity shop, but a little child buys it before him. Geoff offers the child £50 for it, but the mother is appalled. That feels generically funny, but not very Geoff-like. Could happen to anyone. Bears also says ‘Zoos’ to me. Lynette would be torn on zoos, because they’re good for animal preservation and public awareness. But she thinks they're a bit cruel. Could she adopt a bear? Geoff thinks it’s a waste of money because you don't actually get a bear. Can't help thinking Geoff would start to find ways of improving the bear's habitat in the zoo, which the zookeepers obviously rebuff. Maybe the ‘adopt a bear’ scheme at the local zoo is badly run and Lynette starts to get involved and is effectively ‘selling bears’ and it looks bad. Something like that. This one doesn’t seem as fruitful as apples (ha ha), but it’s all good for thinking about the key characters. Nothing particularly amazing has jumped out yet. But that's fine. It's early days. What's encouraging is that the characters are having attitudes and quests. So that's good. And some of these ideas may yet turn into a plot for the pilot of the first series. We're building up a load of material which can be refined and sifted later, so we're not staring at blank sheets of paper. 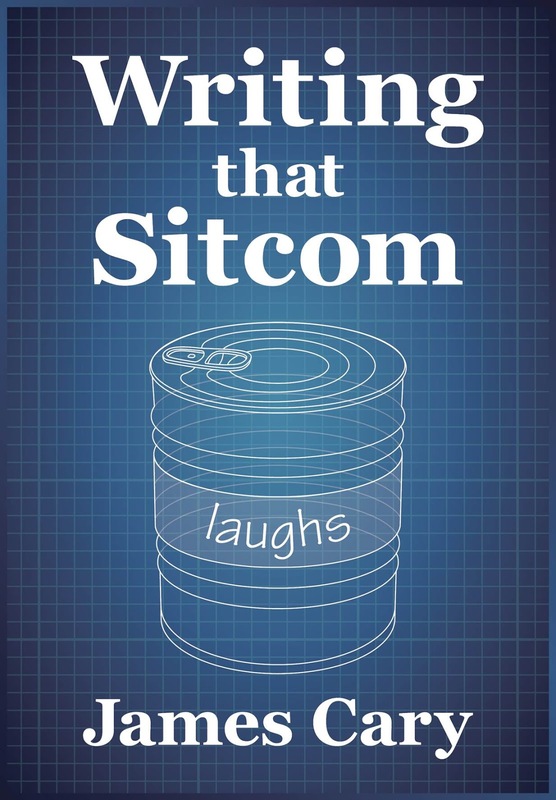 If this sort of thing is interesting or useful, may I recommend my book, Writing That Sitcom? And you might also enjoy a two-day sitcom-writing workshop with me and Dave Cohen on 5th & 6th Nov 2015. Details on that here. We also do a podcast which is here. If you have a key central relationship, it’s quite easy to merely define one character as the opposite of the other. In Geoff, we have an technophile. An early adopter. A tinkerer. He thinks this or that latest gadget will improve his life and his household. It would be easy, then to make Lynette a technophobe and a pessimist, but this already makes me thing Lynette isn’t much fun, and it quite negative. She doesn’t feel very active. If at all possible, I’d try and define your characters are people in their own right before getting too hung up on the relationships. And given the show is about optimist, it would be could to make Lynette and optimist – but a different kind of optimist. I wonder if Lynette is an optimist about the world, about the environment, about politics and society in general. She doesn’t have to be a grown-up Wolfie Smith, but maybe she is some kind of activist, or was in her student days. She’s old to enough to have been one of the Women at Greenham Common in 1982-3, as a young idealist who thought they could change the world. But then she met Geoff, and they got married, had kids and then she got a job, which got in the way. And maybe that’s the reason she left him. She felt she’d become something she hated. Perhaps she ran off with a Greenpeace activist or a Swampy-type (which would tie in with the May Day Anti-capitalist riots) and perhaps she even lived in a commune for a while when she realised this was taking things a bit far. Either way, she is energetic, and ready and willing to help her fellow man, and make sacrifices for the wider society. Perhaps she’s living with the guilt of not being the firebrand MP she was once told she could be. She’s never lived down the fact she’s sold out to ‘the man’. Lynette is slowly taking shape, I think. But there’s another pitfall I can spot. It’d be very easy to turn her into an earth-mother hippy and do lots of jokes about hummus. That feels like a bit of cliché, or at least a sketch that might wear a little thin after a while. Lynette’s hippiness is more hidden, because she’s not, by nature someone who steps back, chills out and goes with the flow. Much as she might like to be Phoebe from Friends, she’s just too up tight for that. Too organised. Too pragmatic. She’s a troubleshooter. Which is why she did perfectly well working in business. Which in turn is why she hates herself and feels like a failure as person – but optimistic that everyone does their bit, the world will be a better place. So the least she can do is her bit. I feel like I know Lynette. This version of Lynette at least. She’s going to generate stories, plots and put herself into impossible positions. So that’s good. The next thing to do is see how the two characters work out when it comes to plots - and how they relate to each other. It's really hard to do that in the abstract and I find plots really do help work out who these characters really are and how they drive each other mad. Do plots make them collude and collide? There’s not much point worrying about supporting cast or peripherals characters until we’ve got these two characters right. At the moment, it’s all about their relationship, so we’ll look at that through the lens of some plots next time. If you’ve just tuned in, I’m developing a sitcom on this blog, walking through the process, and showing how I go about things (have a look here and here). My way may not be the best way, and shouldn’t necessarily be your way, but it seems that people are finding this process useful. In some way or other. The show is called Third Time Lucky, about a couple called Lynette and Geoff, who are marrying for the third time – and the second time to each other. This time, they reckon, it’s going to be different. They’re older. And wiser. And both hoping against hope that the other one can change. We know, or at least strongly suspect, that they are doomed. They’ve probably got kids from their first marriage – and at least one of them from their second marriage. Who are they? How old are they? What stage are they at? I’ve no idea. Right now, the important players are Geoff and Lynette. Who are they? One thing to bear in mind, even at the start, that you don’t want characters who are ‘sometimes a bit this’ or ‘occasionally a bit that’. No. We want clear simple characters at first. We need to work out what the engine of each characters is. What drives them forward? Maybe we want a bit of back story in our heads at least – and this show, given it’s about being married for the third time could easily be stuffed full of past moments, call-backs, regrets and recriminations. But we need forward momentum. Stories, not histories. Let’s say they first married when they were both 25. Had a child at 27. Kept things together for the sake of their child. When the child went to uni at 18, they divorced. So they divorced at 45. I’ve just read online that if people remarry after a divorce, it tends to be after three years. So, let’s say Geoff remarries at 48. Maybe to someone younger. Or unsuitable in some way. But the marriage is a disaster. They divorce when Geoff is 53. He meets Lynette again 55. And they remarry. So that puts Geoff at mid-to-late fifties. When does the show start? When is the first ep set? When they meet again? When they remarry? Two years into the remarriage? No idea. Maybe their wedding day would be a good place to start. So Geoff could be 55 and thinking about early retirement. He could be an ex-copper and already retired (now doing private consultancy/security work). This doesn’t feel like a work-place sitcom, so he should either be retired from work – and active in some other way, eg. Social club, neighbourhood watch, parish council – or all of the above. Or he should be working from home, ideally from his kitchen table. Or he’s still a plumber, and he goes out and does that. And we never see it. But something tells me Geoff is not a plumber. He might be an ex-copper. The good thing about this scenario is there are lots of brilliant, established, funny actors in their 50s. Especially actors or comedians who would work well in front of a studio audience, which is what I hope this show will be. Casting an exciting Lynette or a Geoff will not be very hard. What’s more, any children they have will be in their 20s, so there’s scope for a really decent casting there and you might end up with another Kris Marshall on your hands. That'd be good. The alternative scenario, which on the surface is less attractive, is that Geoff and Lynette married at 18. Maybe Lynette was pregnant and it was a bit of a shotgun wedding. Although is that a thing these days? People don’t care about that stuff any more do they. Either way, they marry at 18. Divorce at 28. Remarry at 32. Divorce again at 40. And then remarry each other at 45. For some reason, I just don’t buy that sequence of events. It actually feels rather sad. There may be a way of making that work, but I’m not sure what it is. Also, the show is about people set in their ways, and how people are overly optimistic that other people will change – and that they’ll be Third Time Lucky. So I’m going with the first scenario and that rough timeline. Geoff and Lynette are mid-to-late fifties. To be honest, I haven’t really been thinking about him specifically, but after a while I realised that subconsciously I have been. A few different things have triggered a thought about Geoff being a technophile. An early adopter. Yes. Minidiscs were very nearly a thing. Geoff has one of these. Obvs. Let’s think about what that looks like for a man born in about 1960. No VCRs, no mobile phones, no answering machines – let alone internet. Therefore, we’ve got a guy who was entering the job market in the 1980s, when large top-loading VCRs were available at considerable expense. He bought an early enormous video camera. He probably bought a laserdisc player, and a minidisc player. 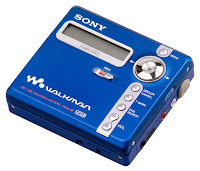 Now he has a Blueray DVD player gathering dust because he’s all about the set-top boxes and live streaming. He has a massive TV. Now, a word of caution here. People staring at screens and operating gadgets is not all that funny or televisual. So how does the technology help? One bonus is that he’ll have grainy video footage of past family events in the 80s, 90s and 00s that might come in handy. And he’ll be constantly wanting to install burglar alarms and security systems that electrocute him and get him arrested. That sort of thing. It’s also worth asking why has he got all these gadgets – and he’s still got them, and the original boxes and instructions in a loft or a lock-up. Is he a bit of hoarder? There’s been lots of docs about hoarders but no comedies…. Why does he keep buying the latest technology. Is it about status? “I can afford the latest things”? So, get ready for Geoff. He’ll be along soon. Once he’s worked out how to reboot his phone which has his diary on it which tells him when we were meant to be meeting. But when he arrives, you may laugh that his technology has actually made him late, but he had a palm pilot back in the day and he said those things were the future and, in a way, he was right. There’s always just enough evidence that his optimism is not entirely misplaced. Hello, Geoff. I think I'm going to like you. But what does Geoff see in Lynette? Who is Lynette? We’ll be thinking about her next time. 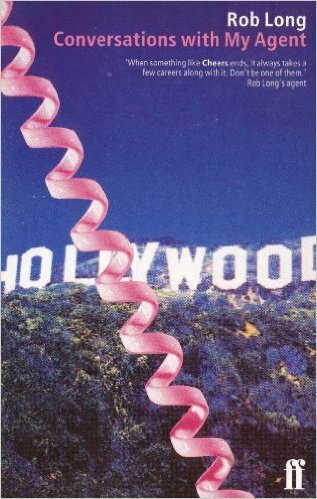 If this sort of thing is interesting or useful, may I recommend my book, Writing That Sitcom? And you might also enjoy a two-day sitcom-writing workshop with me and Dave Cohen on 5th & 6th Nov 2015. Details on that here.